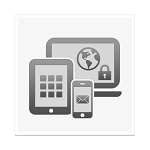 Byod: How Secure Are Your Endpoints? It’s only natural for the growth of certain technologies to slow as they become more and more commonplace. That’s why the headlines talking about the slowing growth of the tablet or smart phone market are always a little surprising. Of course the growth of those markets is going to slow since more and more people have tablets and smart phones. But slowing growth is still growth, and people are still getting these new devices, especially around the holidays. So, as we enter the holiday season, here’s a question for you: Are you ready to protect your network as your employees bring these new devices to the office and try use them as a work tool? Because that’s what they are doing. Statistics say that the average number of devices being used by employees to access the company network is three. So, beyond that endpoint you know about, either the desktops sitting on desks or the laptops issued employees, there are devices you are probably blind to. What this is doing is blurring the edges of the network. What used to be well-defined, isn’t. It doesn’t start in the server room and end at the desktops. Now it includes the personal laptop thrown in the bag and taken on the plane and accessing the company network from the road. It includes the tablet on the table by the recliner used at home to check company emails. Or the phone that’s always in a pocket with easy access to the network. So how do you protect a network that lives and breathes anywhere and everywhere, and on all these different devices? Well, it starts with something that we’ve actually talked about before: visibility. And visibility should include your network’s end points. Installing anti-virus software on those end points and assuming you’re protected is outdated thinking and will leave you vulnerable to modern threats. Besides, anti-virus software won’t give you what you really need, and that’s visibility into the behavior of all these endpoints. Unfortunately, things like anti-virus software are passive. They have a set of rules that they operate under or certain software signatures they look for and send an alert when those rules are violated or they see a signature they don’t like. But that’s not visibility. Visibility is an active thing. It’s about looking at behaviors and finding patterns and determining what’s normal. It, again, goes back to something that we’ve talked about before: Anomaly detection and establishing a baseline. It’s using the principals of heuristics — or allowing someone to learn something for themselves — to figure out what’s normal on your endpoints and then looking for deviations from that. That’s very hard to do on your own, but there are vendors who can help you. Bit 9’s Carbon Black is one of them. These software solutions use machine learning to figure out what’s normal. Then, since they are continually monitoring your end points, can alert you when something out of the ordinary occurs. We talk a lot about layered security here, and endpoint security is just another layer of defense against the people out there who want to find ways into your network. But, it’s an important one because the edges of the data center are only going to get fuzzier. Employees have come to expect the convenience of being able to work wherever they are and with whatever device they have available. It’s up to you to make sure your network is protected.